During the development phase we recognized restrictions with those carbon fiber types we use for our other fin models. This is linked to the thinner fin profile and the narrow outline also for the longer versions. Such design requires carbon filament types with higher E-Module and more strength to co-op with the high forces. To solve this issue we got a supplier involved into the development to produce for us a special, very thin and strong carbon material in aerospace+ quality. This material also meets the requirement of precise fiber orientation with very small angular misalignment/tolerance. Competition sailors are quite sensitive even to very small variations in the fin’s characteristic, especially related to the geometric twist. To deliver constant quality we test the SL-pro on our new 4-axis CNC test system that also allows us to measure the profile accuracy by precision laser measurements . Bending and geometric twist data are acquired by multi-point measurements with automated data analysis and comparison to the reference values. The SL-pro generates a crispy force-feedback allowing the sailor to feel the flow situation around the fin. Although the layups are quite powerful the usable range of one fin size is huge and the fin offers very good control. Control is also a common remark of our test team when trying to describe the jibing performance. Due to the high amount of vertical lift the board is also “foiling” throughout the jibe making a very good exit with usable fin power on the new tack. The acceleration in the gusts is excellent and the board stays in a stable position without the intention neither to push the front down nor to lift the nose in an uncontrollable way. 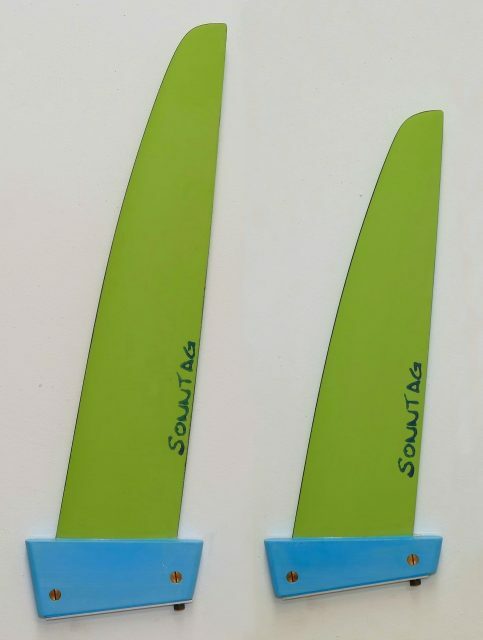 The SL-pro can add 1-2 knt speed on all courses compared to many other competition slalom fins. 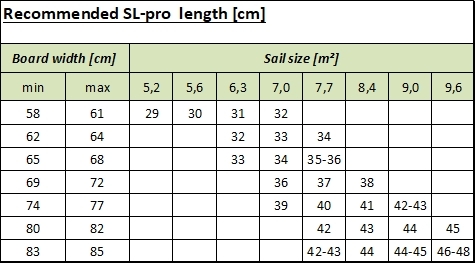 The speed potential of the SL-pro was proofed by Twan Verseput getting 2018 Speed World Champion on this model as well as Patrick van Hoof winning the Weymouth Speed Week in 2018 both in choppy conditions.